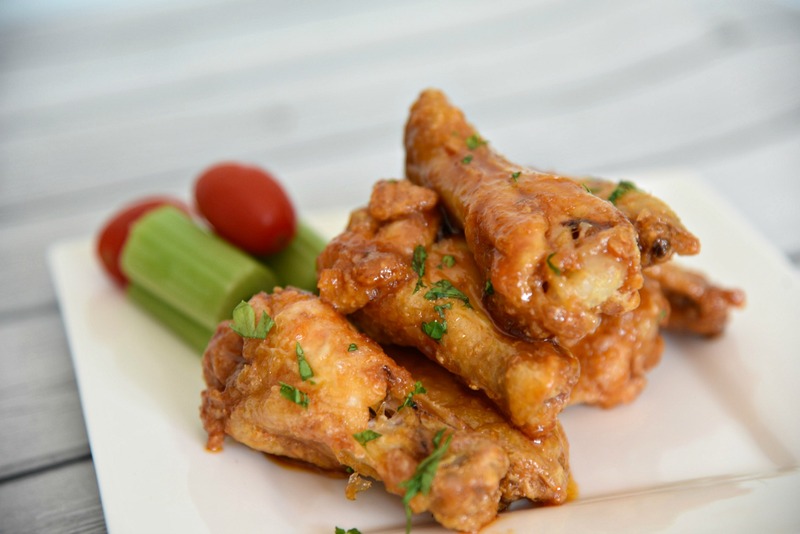 These easy crispy Air Fryer Chicken Wings are the perfect thing for game day or any party. A little sweet, a little spicy and totally delicious. Cooked in the Air Fryer, they are crispy yet totally oil free! 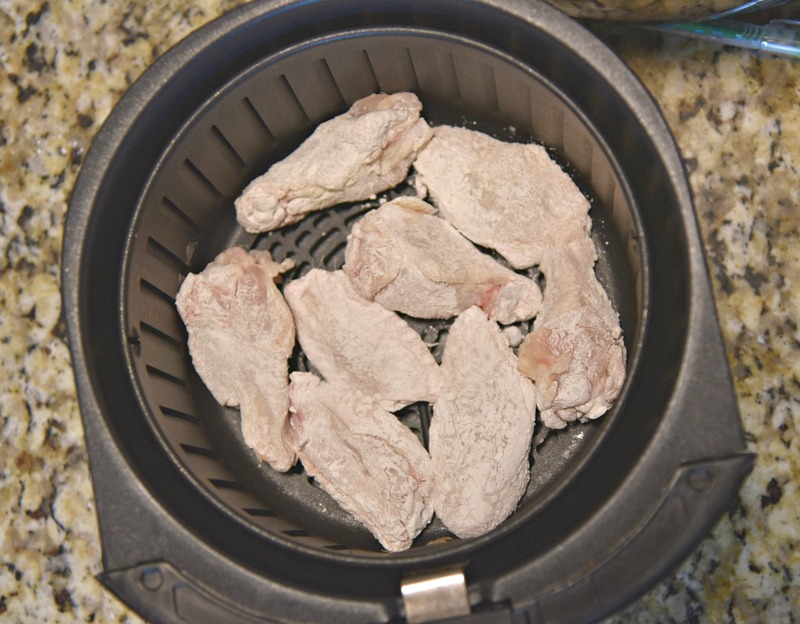 This is one of my favorite Air Fryer recipes! Looking for more Air Fryer Recipes? Try out my Air Fryer Dry Rub Wings and my Homemade Air Fryer Mozzarella Sticks! Sweet n’ Spicy is my favorite combo! Isn’t it funny how a lot of us like two completely different flavors put together. I absolutely love sweet and salty things. I could eat peanut butter cups every single day. I feel the same way about sweet and spicy things. I’ve always loved that combo. If I go to a restaurant and see that they have a sweet and spicy wing sauce, then I know immediately what I am going to order. Ever since I got my Air Fryer, I have made lots of fantastic things in them, including lot of Air Fryer Chicken Wings. But I hadn’t made any sweet and spicy wings. Well, that changes today! 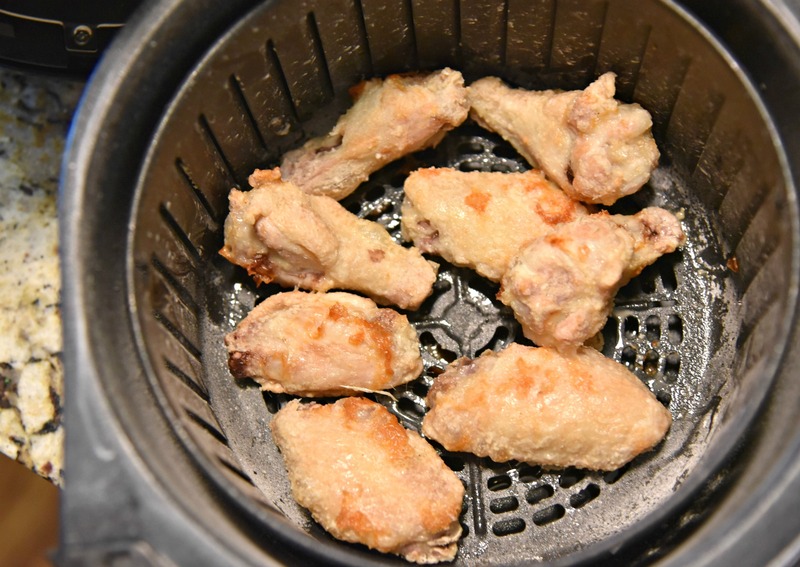 If you haven’t made chicken wings in the Air Fryer yet, you absolutely need to! If you don’t have an Air Fryer, please go out and buy one asap. What is an Air Fryer? An Air Fryer is a small electric kitchen appliance that uses hot air to cook food. You get the same result you would if you would use oil to fry them in the traditional way. But, with the Air Fryer, you are only using hot air and only hot air. So you get that same crispy “fried” taste without all the oils and fats. The Air Fryer is so easy to use as well, just preheat it, set the food in, and then pull it out when it is ready! There are also a ton of Air Fryer recipes out there to choose from and you can cook so many different things in them. When deciding how I wanted to make my sweet and spicy sauce that I could toss to coat my wings in, the decision was simple. I’ve always loved honey and frequently use it on my toast and my bagels. I’ve also always been a HUGE fan of Sriracha hot sauce. Once, I had made that easy decision, it was time to make my Honey Sriracha Air Fryer Chicken Wings. The ingredients are pretty simple. 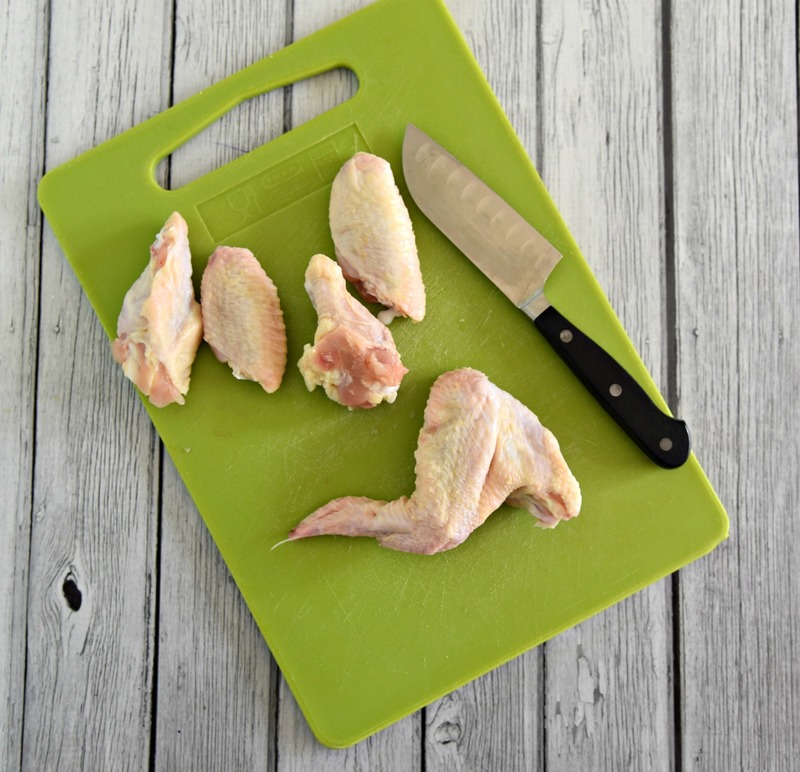 Simply cut up the wings into drummettes and wing portions. 2. Preheat the Air Fryer to 375 degrees. 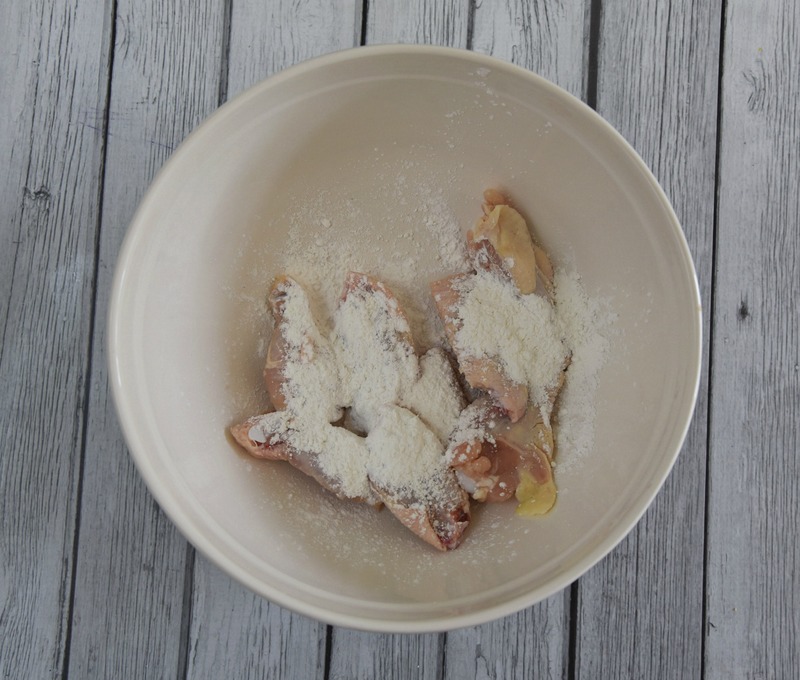 Coat the wings with the mixture of Corn Starch and Salt and Pepper. Some people suggest using Potato Starch and that is fine if you want to use it. I used Corn Starch and it worked out great! 3. Place about 8 wings in the basket of your Air Fryer. 4. Cook the wings for about 25 minutes. Turning them over every 5-7 minutes. 5. While the wings are cooking, add your honey, Sriracha sauce, soy sauce, butter and lime juice into a small skillet. Bring these ingredients to a boil and then lower the heat and let it sit. 6. Once the wings are done, simply put them in a bowl and toss to coat them with your Honey Sriracha sauce! Looking for more Air Fryer Recipes? Check out my Air Fryer Mashed Potato Cakes or my Air Fryer Blueberry Pies. Preheat the Air Fryer to 375 degrees. Coat the wings with the mixture of Corn Starch and Salt and Pepper. Some people suggest using Potato Starch and that is fine if you want to use it. I used Corn Starch and it worked out great! Place about 8 wings in the basket of your Air Fryer. Cook the wings for about 25 minutes. Turning them over every 5-7 minutes. While the wings are cooking, add your honey, Sriracha sauce, soy sauce, butter and lime juice into a small skillet. Bring these ingredients to a boil and then lower the heat and let it sit. 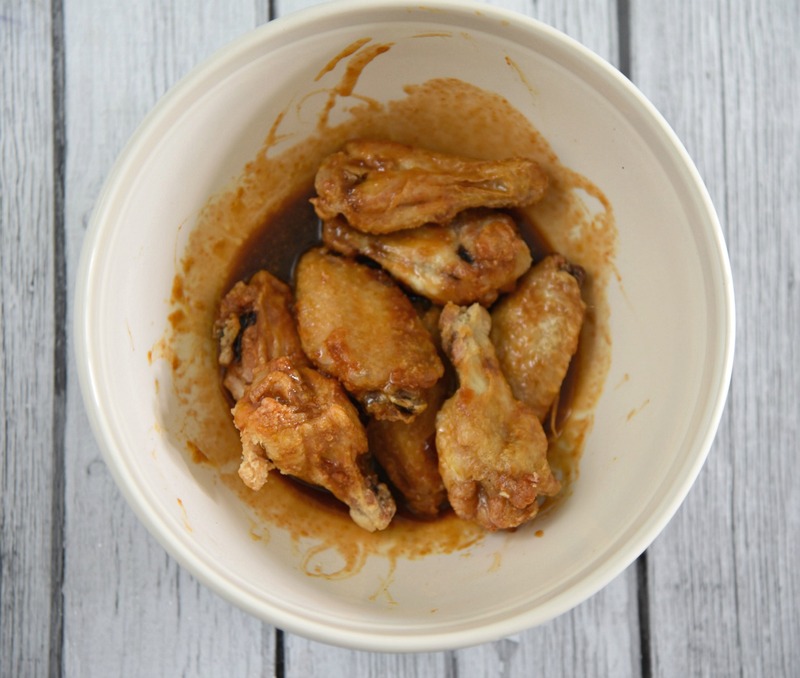 Once the wings are done, simply put them in a bowl and toss to coat them with your Honey Sriracha sauce!